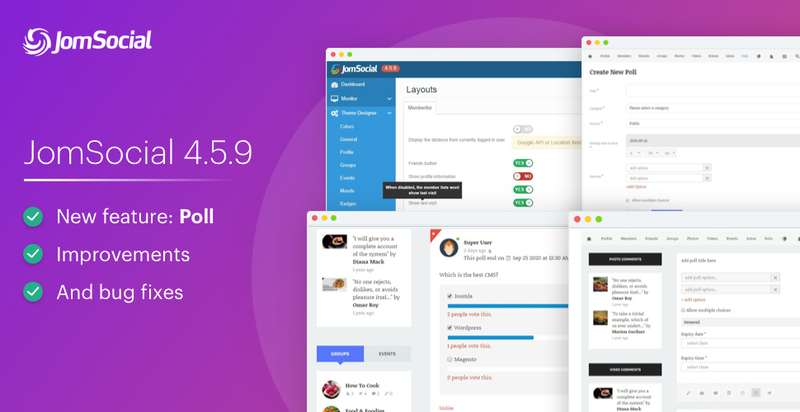 JomSocial 4.5.9 is ready for download. The new version is released for a new major new feature : Poll. Users now can create poll for community to vote. Each poll has title and options, user can configure multiple choices, expiry date and which permission (who can view and vote). To Enable the Poll feature on the frontpage, enable the poll option from Jomsocial configuration panel. Open Poll > Poll Settings to enable them. 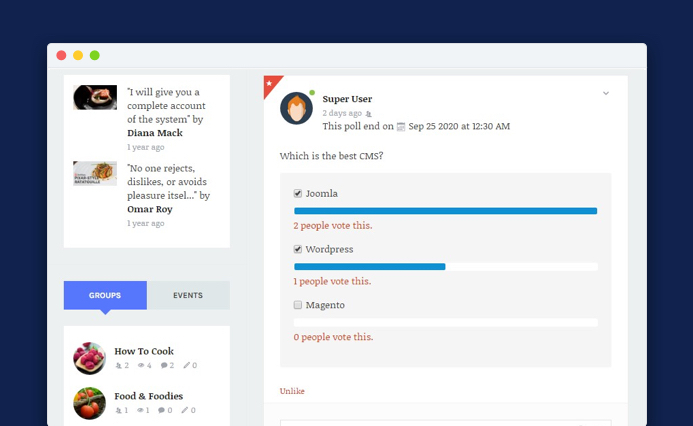 Jomsocial gives full control over the poll using Joomla ACL. 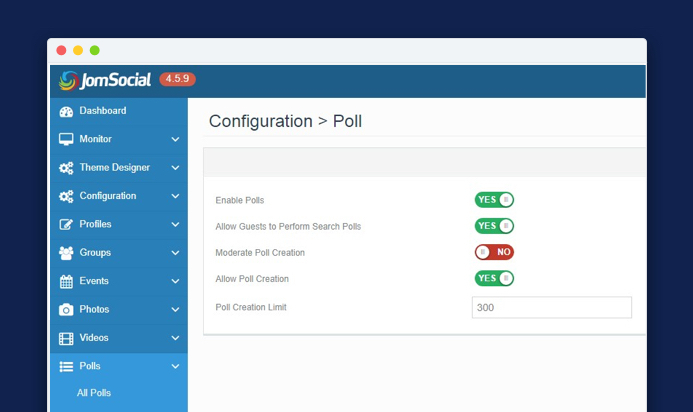 You can allow/disallow Joomla user group to not create, edit or delete a poll. To make changes in access level, open JomSocial > Configurations > Access Control and configure. Poll options : add poll options. 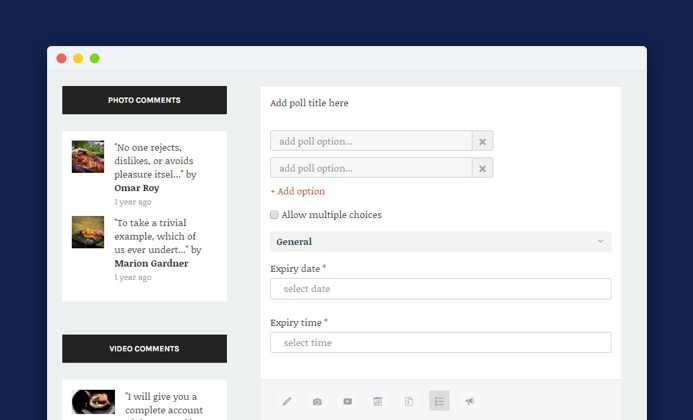 Allow multiple choices: tick the option to let user select multiple options in the poll. If not, user can select 1 option only. 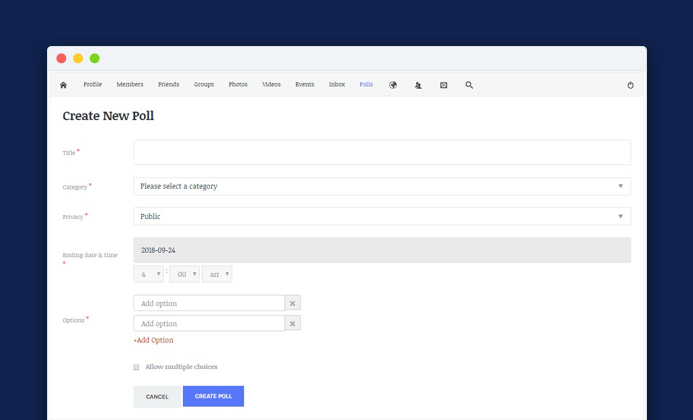 A new menu type for Poll allows user to search and sort the polls based on the category and sorting options. 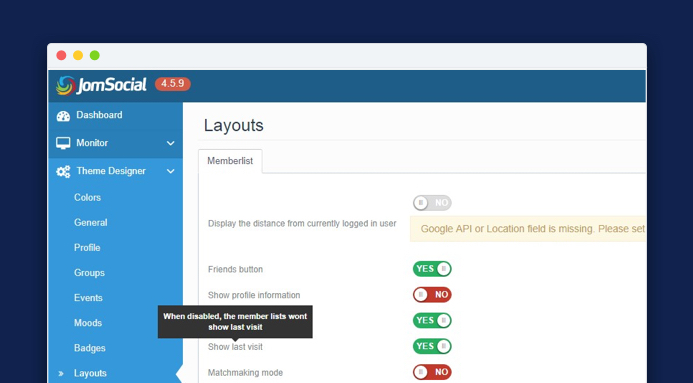 Now you can show user last visit information on his profile, in Jomsocial 4.5.9 there is dedicated option to enable last profile visit. To enable this option open Jomsocial > Theme Designer > Layout > Show last visit. Invitations left label without support multi language websites. [poll] Not show progress bar of poll on JS themes such as column, flat, column. Video Tab not showing active. How To Download And Upgrade? NOTE : JomSocial 4.5.9 is major update for new feature, please follow the update steps as mentioned in this post. You are welcome to post eventual bugs and suggestions for improvements.